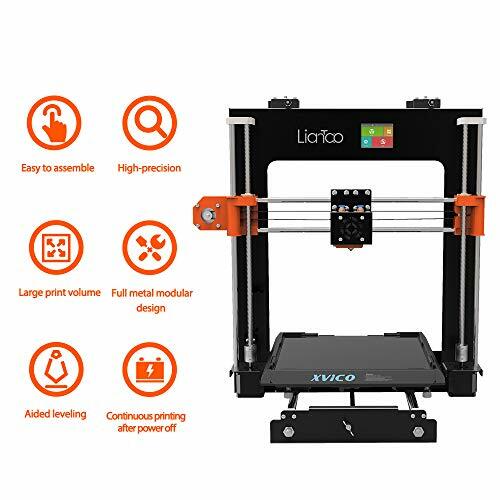 LianTao 3D Printer helps you to join the 3D printing revolution easily ! With the ability to print any type of 3D filament and a price point lower than most DIY kits, this entry-level 3D printer is the easiest and least expensive way to join the 3D printing revolution! 2. Resume Printing even after a power outage;semi automatically leveling. 3.Easy & Fast Installation within 1 hour. 4.2.4 inch Color Touch Screen is easy to operation. 5.Support 9 kinds of language:Chinese, English, German, French, Spanish, Russian, Italian, Korean, Portuguese.